Web Banner Ads are the most common form of online marketing. Starting "back in the day" banner ads have inundated nearly every dot com, dot net, dot org and now every new dot dot dot in our www dot World Wide Web. Banner Ads have become a staple in the online diet of advertising, being digested in trillions of page views by billions of viewers in a grand scheme to get a click. Webmastur designers can create clean effective visuals with a clear call to action that will entice your customers to click that mouse before it skitters off to another piece of cheese. the size of the banner really depends on the placement on the website. 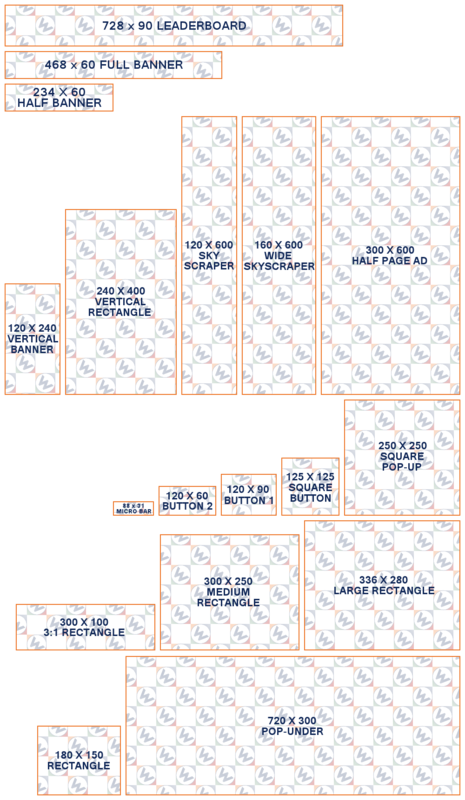 Below is a chart of the common banners sizes, and of course custom sizes can always be provided.